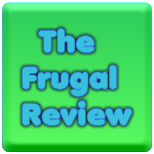 FRUGAL REVIEW: Turkey Recipe for your Thanksgiving Day Leftovers. Turkey Recipe for your Thanksgiving Day Leftovers. We were able to make several meals from our turkey. First we had our turkey on Thanksgiving Day with family. We ended up having half the Turkey for leftovers. At first we made Turkey sandwiches. -Cut Turkey into thin slices. -Put sandwich together and eat. - You could put mustard or leftover gravy in the sandwich to make it less dry. Afterwards, we still had a few pounds of turkey left. I made a turkey noodle soup in my crockpot. - Add your turkey on top of the vegetables. You can put bones and everything in. - An hour or two before you are ready to eat, pull the bones and skin out of the crockpot. Be careful to pull all bones out. Some of the smaller bones are like clear toothpicks and hide in the soup. - Add a few pinches of black pepper and any other seasoning you would like. - Cover and let it simmer for the last hour or so. - Boil egg noodles on the oven for the suggested time on the package and add it to the soup right before you serve it. - Serve and eat with bread and butter or cheese. This made so much soup that I still needed to make yet another left over. I ended up making Turkey Tettrazini. I made four batches. One for dinner that night and three others for freezing. I split the meat, veges and some of the broth into three separate Ziploc bags (about two cups for each bag). Mix everything but the cheese. Spread in an ungreased 2-quart casserole pan. Sprinkle with cheese. Bake uncovered for 25-30 minutes. I did not add the cheddar cheese or spaghetti noodles to the freezer batches. Pasta can become soggy when frozen and defrosted. Now, when I am short on time and need to make dinner, all I have to do is boil the spaghetti, mix it in, spread it in a casserole dish, sprinkle with cheese and bake. This goes great with a salad!